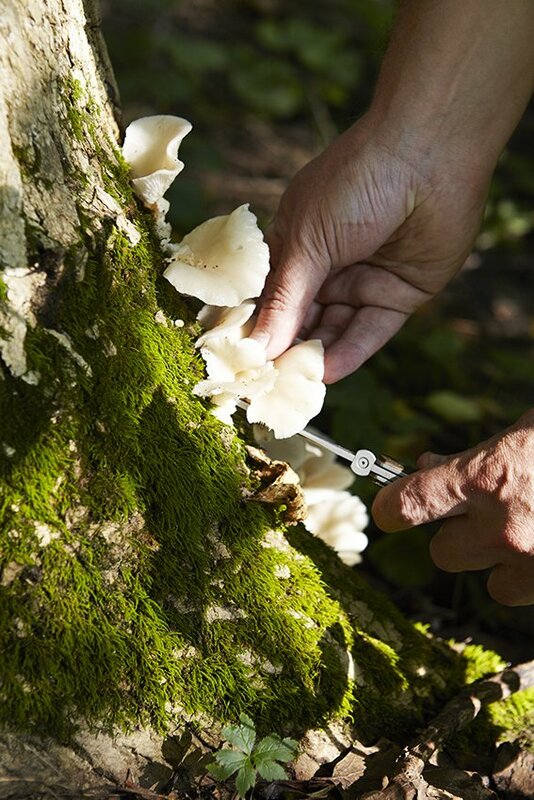 Here the chef selects a few oyster mushrooms, which “grow on trees and logs during the wetter part of summer,” he explains. At Please, the fungi are used for stock as well as in composed dishes, combined with shallots, thyme, and butter. Santos notes that this particular specimen is identified by its distinctive bunching pattern and its “oyster-like” scent.